It’s a very cool episode of Ian Hates Conversations: Music Edition as Landon Tewers joins Ian in the Ian Hates “Studio”! (There’s a lot of ‘Ian’ in that sentence and I apologize). At the time of this recording, Landon is finishing up his solo tour co-headlining with Ghost Atlas. If you’re not familiar with Landon Tewers, he has his solo work, projects like Ai640, writing and producing bands, AND he’s the lead vocalist of The Plot In You. Oh yeah, he’s also one of the most talented and versatile vocalists out there! Let’s not give too much away in the description of the episode though. Ian and Landon talk in person about everything going on in Landon’s life, new tours, new music, and possible plans for the future. Ian will normally remove background and strange noises from conversation episodes, but it didn’t feel necessary for this since it’s just two people face to face in the same room. Hope you enjoy! 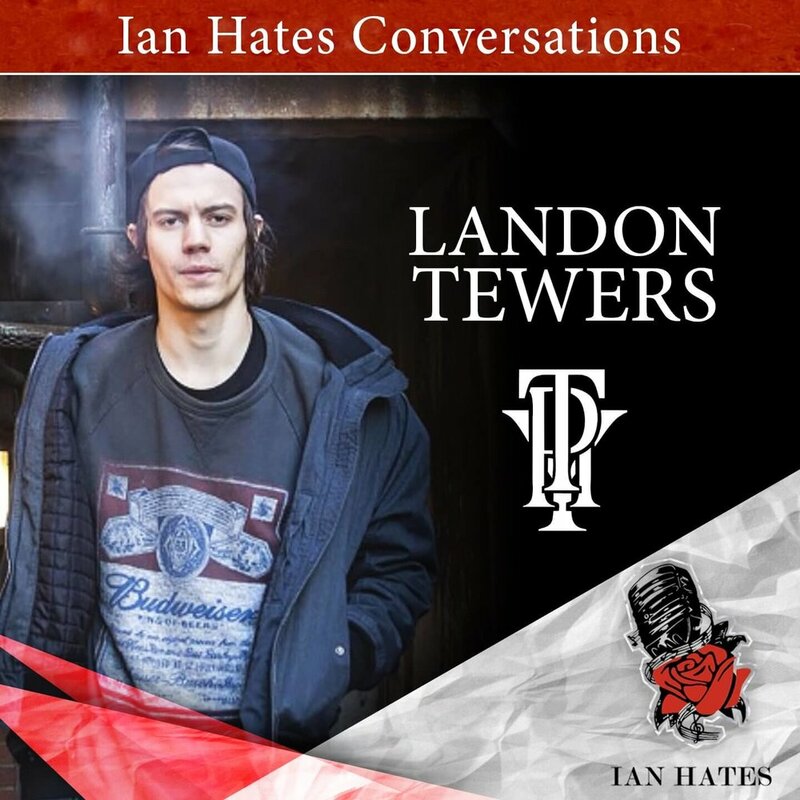 Huge thanks to Landon for taking time out of his extremely busy schedule to come on Ian Hates Conversations: Music Edition. Make sure to check him out in the amazing The Plot In You headlining tour starting soon and you know he’s got tons of new music coming up in the future as well.